Are you seeing this too, or is that just the edibles talking? @nevona @Iommismom Dogs ride BART? I thought they rode BARK. @nevona @darth When she got on, the dog told her exactly when she was going to die. I think I like people again. 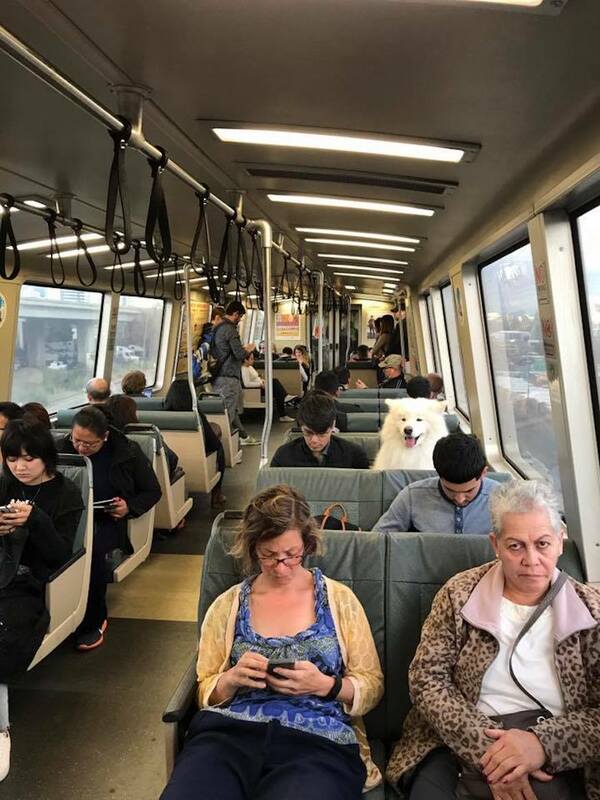 Oh, and here’s another very civilized dog sitting pretty on public transit, and we’ve got more of that over in our Animals on Transit page. Got other moments of delight for your fellow riders? Tag us on Facebook, Instagram, or Twitter. Our email inbox muni.diaries.sf@gmail.com is always open!